The Melbourne Chinese Museum will be hosting PTGAA Members for a truly special Famil PD session not to be missed! Be amongst the 40 guests to be hosted by Silvia Ercole, Museum Education Manager on a personalised tour of the Museum, with a focus on Melbourne’s Chinese New Year traditions. The meeting place is Chinese Melbourne Museum, 22 Cohen Place, Melbourne. Cost: FREE for 2019 members– but be quick to register as only 40 places available. RSVP by 15th January: HERE NOW! Please don’t wait to register and book your spot as there are only 40 places available! With thanks to Annamaria Di Iuorio for arranging this PD! Commencing Feb 12, 2019 – 12 week Tour Guiding Skills Set course. There is a midyear break from the middle of May to the middle of July and the 2nd part of the Cert IV commences in July. All PTGAA members & their guests are welcome to attend the AGM on Wednesday 20th September at 5:45 for 6pm. Victorian Society of Artists, 430 Albert St, East Melbourne. The AGM is always an important date in our annual calendar. It is when the committee reports to you, the members on what has been achieved by your association in the last 12 months. Our guest speaker this year is Sheree Marris who will screen her documentary, Melbourne Down Under. This stunning natural history documentary will take viewers on an incredible journey of discovery, revealing the city’s best kept secret, Port Phillip Bay, a vibrant and dynamic marine environment. Holmesglen Institute will again be conducting this popular course at their City Campus. The course will start on 11July and run until 7September. It will be held on Tuesday & Thursday evenings (5.30 to 9.30) and two Saturdays. This skills set will provide you with the knowledge and skills required to facilitate local and regional tours while awarding you nationally accredited units of competency. 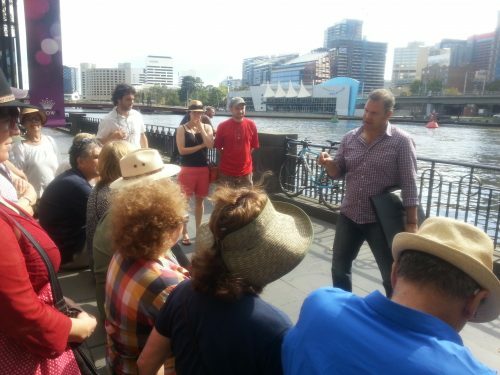 Whilst updating your knowledge of Melbourne and Victoria, you will learn how to effectively manage and entertain a tour group and provide them with first rate commentary. The program will be delivered at our city campus on St Kilda Road, (opposite the Shrine of Remembrance). There will be a number of off-campus activities including two full day excursion to ensure you get the hands on experience required to be industry ready. The skill set is taught by leading well-connected tour guiding professionals who are currently working in the industry. The course will start on 18 July and run until 14 September. It will be held on Tuesday & Thursday evenings (5.30 to 9.30) and two Saturdays. From today, visitors can use the VicFreeWiFi service within all Melbourne CBD train stations, the Bourke St Mall, Queen Victoria Market, and South Wharf Promenade at the Melbourne Convention and Exhibition Centre. More access points will be switched on over the coming months, with the full network to be up and running by the end of the year. A free Wi-Fi pilot has been running successfully in Bendigo and Ballarat since December 2015 and has recorded one million sessions in the two regional cities during the nine months it’s been operational. Access will be available for up to 250 MB per device, per day – and does not require personal logins or feature pop-up advertising. The quality of the network is unparalleled in Australia and on par with world-class free public Wi-Fi networks in New York, London and San Francisco. An interactive map of the active access points available for public use is at vic.gov.au/wifi. The recent weather and high rainfall has resulted in the closure of some visitor areas, tracks and campgrounds in parks across the State’s North and West for visitor safety. Only a small number of parks are completely closed. Most parks across the state remain open, however some tracks, campgrounds, lookouts and access roads may be closed. Please check for parks affected by flooding here; http://parkweb.vic.gov.au/about-us/news/parks-affected-by-flooding. Information is listed on individual park pages. Use the “Find” navigation button in the top menu bar to search for your nearest park. The Great Ocean Road remains closed between Cumberland River and Wye River until further notice due to severe structural damage to the roadway, which may fall away under vehicle load. The section of the Great Ocean Road between Wye River and Skenes Creek is now open to traffic with vehicle restrictions (please find the attached maps). The road remains closed between Wye River and Separation Creek, due to major landslide issues at Paddy’s Path. For the latest information on road closures, visit traffic.vicroads.vic.gov.au. The Annual General Meeting of the Professional Tour Guide Association of Australia will be held on Wednesday 21st September, 6.00pm to 8.00pm at Royal Society, 8 Latrobe Street, Melbourne. All PTGAA members are invited to the Melbourne Tourism Exchange .Learn about new attractions, tour operators, hotels, retailers and much more. This is a free event. The PTGAA will again have a stand at this event. This is a unique opportunity for you to engage with the industry partners, ask questions and learn more about their product. Don’t miss out on this yearly opportunity. Enjoy the new venue, entertainment, refreshments and the complimentary river cruise transfer from Federation Square. RSVP: via Destination Melbourne Friday 1 September. 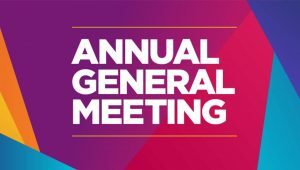 The Annual General Meeting of the PTGAA will be held on Wednesday 21st September, 6.00pm to 8.00pm at Royal Society, 8 Latrobe Street, Melbourne. A feature is the Melbourne Town Hall and the Melbourne Town Hall Organ. There will be recitals throughout the day on Sunday only. Repertoire is incredibly diverse including Johann Sebastian Bach, Wagner, Gershwin, a variety of Australian music written for organ and a selection of television themes (Fawlty Towers, IMT, Neighbours) in celebration of the sixtieth anniversary of Australian television. The new appointment as Federal Minister for Trade, Tourism and Investment is the Hon Steven Ciobo. Mr Ciobo made the following comments in regard to his Tourism portfolio. The opposition spokesman for Tourism is Mr Anthony Albanese. The PTGAA through GOA will promote the role of Professional Guides as an important contributor to the Tourism industry. This skill set program will provide you with the knowledge and skills required to facilitate local and regional tours while giving you nationally accredited units of competency. Whilst updating your knowledge of Melbourne and Victoria, you will learn how to effectively manage and entertain a tour group and provide them with first-rate commentary. The program will be delivered at the Holmesglen city campus on St Kilda Road, (opposite the Shrine of Remembrance). There will be a number of off-campus activities including a full day excursion to ensure you get the hands on experience required to be industry ready. The skill set is taught by leading well-connected tour guiding professionals who are currently working in the industry. For further questions pls email joy.vandoske@gmail.com or Nicolas.Bottiglieri@holmesglen.edu.au. Status and Taxation implications for guides. Safety on buses and legal responsibilities for guides, drivers and operators. Time for networking ,questions, ideas and discussion. Intending members and people who are interested in a guiding career are encouraged to attend. Cost $20 for members, $30 for non members. From Tuesday, 22 March 2016, members of The Community and Public Sector Union (CPSU) who are employees of the Department of Immigration and Border Protection, including The Australian Border Force have been asked to participate in protected industrial action at Australian International Airports and cruise ship terminals disrupting the Easter travel plans of thousands of travellers across Australia. While the likely level of participation is unknown, travellers are warned to expect massive delays with customs and immigration and are advised to arrive at international airports and cruise ship terminals early. The Department is working closely with stakeholders to minimise the impact on the travelling public, cargo and mail operations and is ensuring appropriate contingencies are in place for visa and citizenship services. Please click here http://www.border.gov.au/News/Pages/travellers-clients.aspx for more detailed information about the strike. Although it appears the message has been sent to the recipient in some cases it is not being sent/received. We are currently working to solve the problem. In the meantime if you wish to contact a guide or have recently sent a message and had no response , please let us know through the Contact Section of the PTGAA homepage. We will advise again as soon as problem is fixed.